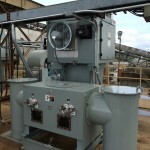 NWL is the leading manufacturer of high voltage/high frequency switch mode technology power supplies for use in powering electrostatic precipitators (ESPs). PowerPlus™ units integrate the controller, the current limiting element and the T/R set functions into one compact high voltage power supply for use on the ESP. 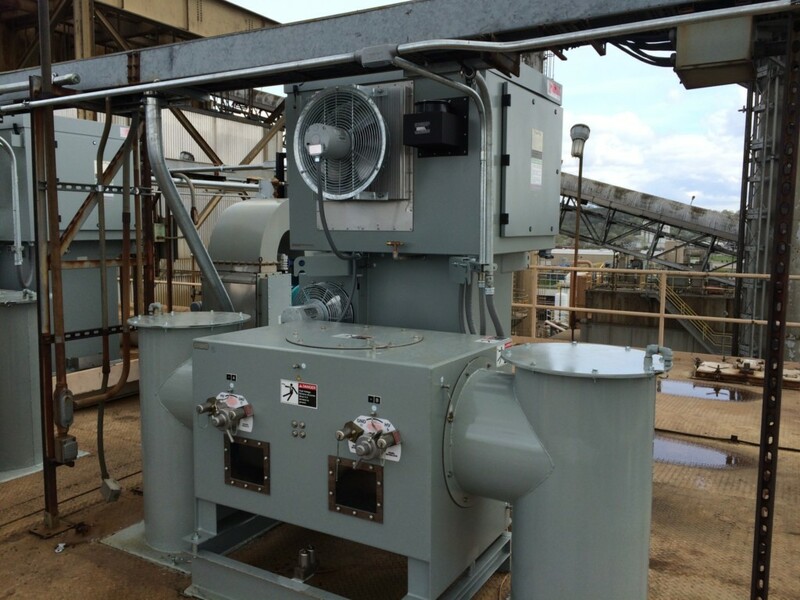 Carrying on the tradition of supplying the most advanced power supplies for electrostatic precipitators, NWL began design and manufacturing of the PowerPlus™ in 2000. The use of Insulated Gate Bipolar Transistors (IGBT) provides for a power supply design that operates at a much higher frequency when compared to the operating frequency of a conventional single phase unit. A series resonant topology and control mode that turns the power supply into a current source that does not rely solely on the electronics acting quickly to limit the current, but, that the circuit itself, under shorted conditions, is inherently current limiting. A cooling system that does not require air filters and minimizes plant maintenance. The heat sink fin spacing is such that the IGBT cooling is not degraded as dust and dirt cannot accumulate and “clog” the fins; no air enters the control box, it is completely sealed. 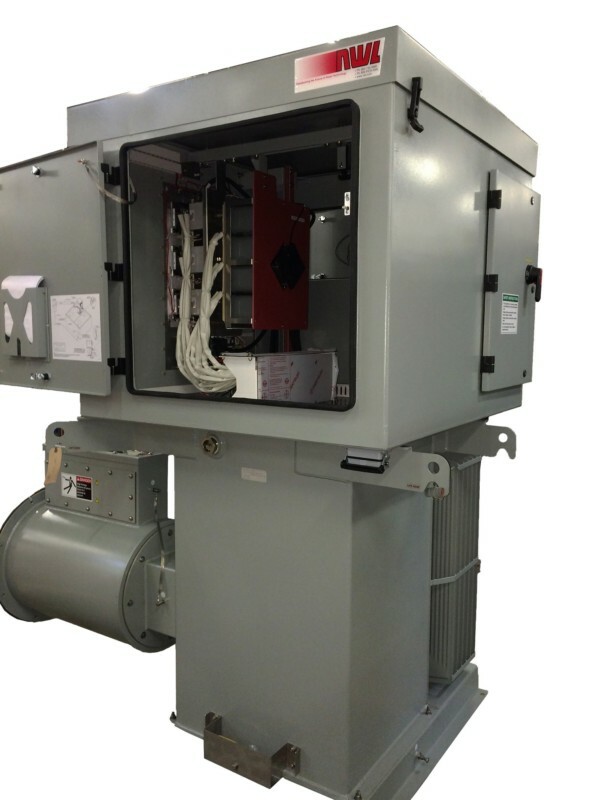 A power supply that is manufactured using proven methods previously used in conventional T/R sets. The result a unit that provides the lowest total cost of ownership and integrates with existing infrastructure. During the first several years of production, NWL put this new switch mode technology into the industries’ toughest environments. NWL then worked with users to continuously to improve the reliability of the product to obtain the high level of reliability that exists on the product being shipped today. Today’s NWL PowerPlus™ unit has a design that more closely resembles a conventional transformer rectifier than the other switch mode units in the market. The rugged design approach detailed in the three points above has been field validated as the necessary formula for a power supply that is rugged and reliable in the environment of an ESP roof top. See detailed paint specifications (PDF) for more information about acrylic enamel finishes. For more challenging environmental conditions such as exposure to salt water and offshore installations, NWL also offers a powder coat rated for extreme corrosion resistance. View info on NWL Optional Powder Coat System (PDF). Electrostatic Precipitator (ESP) Grounding: The precipitator collecting plates must be securely grounded to the frame of the ESP box. All sections of the box itself must be tied to the plant ground grid. This must be the same ground grid used for the incoming PowerPlus power source. It has been NWL’s experience that if the power source ground grid is not the same as the ESP ground grid, IGBT failures may occur during sparking or arcing conditions. Low Impedance Return Path: Since the output current of the PowerPlus™ unit is much greater than a conventional T/R set (50 kHz to 120 Hz), it is important to have a low impedance path (at 50kHz) from the collecting plates (inside the ESP box) to the PowerPlus™ HV tank ground. To get this low impedance, the HV ductwork should be kept as short as possible, and all flange connections must be jumpered with at least two pieces of copper braid to guarantee a good connection through the joints. Because this is such a critical area, a redundant path is required using #6 AWG copper (minimum). This copper wire must be solidly grounded where the HV ductwork enters the ESP. The wire must then run alongside the ductwork (also known as pipe and guard) and terminated at the ground boss located directly on the HV tank. It has been NWL’s experience that not installing this ground return wire may cause premature failure of the IGBT’s under sparking or arcing conditions within the ESP. 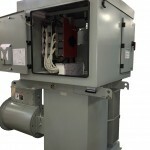 PowerPlus Grounding: Many ESP boxes have a heavy copper wire (» 1/0 AWG or larger) that runs around the perimeter of the ESP roof, drops down along the side, and ties to the plant ground grid underneath the ESP. To minimize problems due to voltage and arcing transients, it is advisable to securely tie the frame of each PowerPlus unit to this heavy ground wire that runs around the perimeter of the ESP. Each unit should be tied to this ground using a cable sufficiently sized per NEC. The ground wiring must not be “daisy-chained” from one unit to the next unit. Each unit must be individually routed to this ground. It is strongly recommended that any installed PowerPlus units be check to make sure they are properly grounded as shown in this drawing (PDF). It may avoid premature problems with the units. Please remember, failures caused by improper grounding are not covered under the NWL original equipment warranty as stated in the PowerPlus™ manual (available in the client login area). Can High Frequency Power Supplies Cause Wire Damage?